Our fully printed tablecloths are very popular. Our special print process means that your logo is printed deep onto the fabric so will not crack or fade, and is fully washable. This print process also means that we can match any colour for you, just provide your pantone reference. 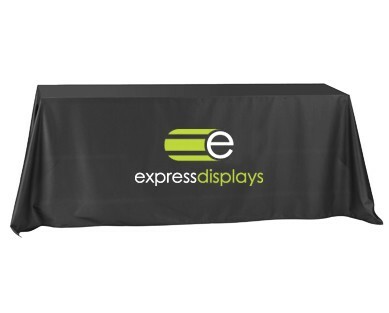 These tablecloths are great for conferences and events.